I love big trucks with lots of chrome on their grill. 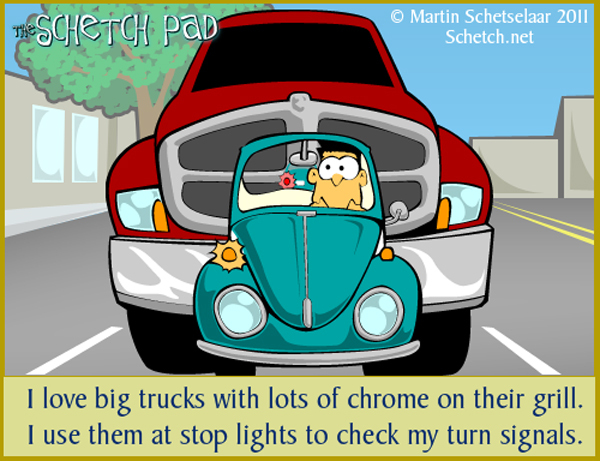 I use them at stop lights to check my turn signals. What Would God Drive If God Drove A Car?